[PubMed ID: 17032791] Sensky PL, Jewell KK, Ryan KJ, Parr T, Bardsley RG, Buttery PJ, Effect of anabolic agents on calpastatin promoters in porcine skeletal muscle and their responsiveness to cyclic adenosine monophosphate- and calcium-related stimuli. J Anim Sci. 2006 Nov;84(11):2973-82. [PubMed ID: 16100081] ... Cui Z, Han Z, Li Z, Hu H, Patel JM, Antony V, Block ER, Su Y, Involvement of calpain-calpastatin in cigarette smoke-induced inhibition of lung endothelial nitric oxide synthase. Am J Respir Cell Mol Biol. 2005 Nov;33(5):513-20. Epub 2005 Aug 11. [PubMed ID: 16060492] ... Krzecio E, Kuryl J, Kocwin-Podsiadla M, Monin G, Association of calpastatin (CAST/MspI) polymorphism with meat quality parameters of fatteners and its interaction with RYR1 genotypes. J Anim Breed Genet. 2005 Aug;122(4):251-8. [PubMed ID: 15484933] ... Ciobanu DC, Bastiaansen JW, Lonergan SM, Thomsen H, Dekkers JC, Plastow GS, Rothschild MF, New alleles in calpastatin gene are associated with meat quality traits in pigs. J Anim Sci. 2004 Oct;82(10):2829-39. [PubMed ID: 11673859] ... Parr T, Sensky PL, Bardsley RG, Buttery PJ, Calpastatin expression in porcine cardiac and skeletal muscle and partial gene structure. Arch Biochem Biophys. 2001 Nov 1;395(1):1-13. 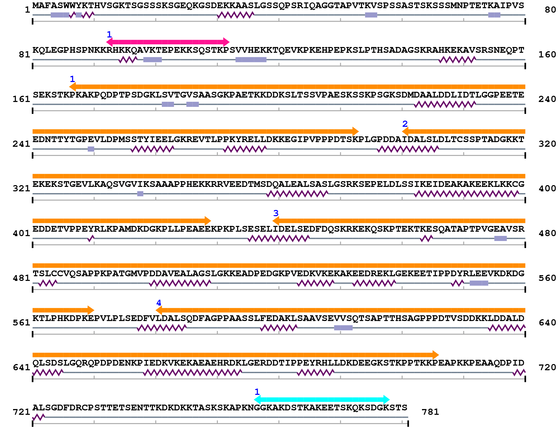 [PubMed ID: 9720180] ... Ernst CW, Robic A, Yerle M, Wang L, Rothschild MF, Mapping of calpastatin and three microsatellites to porcine chromosome 2q2.1-q2.4. Anim Genet. 1998 Jun;29(3):212-5. [PubMed ID: 8661698] ... Rettenberger G, Bruch J, Fries R, Archibald AL, Hameister H, Assignment of 19 porcine type I loci by somatic cell hybrid analysis detects new regions of conserved synteny between human and pig. Mamm Genome. 1996 Apr;7(4):275-9. [PubMed ID: 2837276] ... Takano E, Maki M, Mori H, Hatanaka M, Marti T, Titani K, Kannagi R, Ooi T, Murachi T, Pig heart calpastatin: identification of repetitive domain structures and anomalous behavior in polyacrylamide gel electrophoresis. Biochemistry. 1988 Mar 22;27(6):1964-72. [PubMed ID: 3780962] ... Takano E, Maki M, Hatanaka M, Mori H, Zenita K, Sakihama T, Kannagi R, Marti T, Titani K, Murachi T, Evidence for the repetitive domain structure of pig calpastatin as demonstrated by cloning of complementary DNA. FEBS Lett. 1986 Nov 24;208(2):199-202.